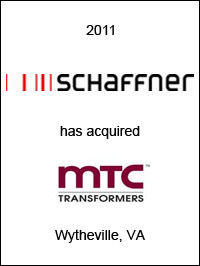 Schaffner Group (SAHN:SW), Luterbach, Switzerland, the international leader in the fields of electromagnetic compatibility and power quality, has acquired the dry-type transformers operations of MTC Transformers, Inc. for approximately $14 million. Based in Wytheville, Virginia, MTC specializes in the development, manufacturing and maintenance of transformers and other magnetics. The business focuses on dry-type transformers for medium-voltage applications in the rail technology, renewable energy and energy-efficient drive systems sectors. The site also provides service and support. 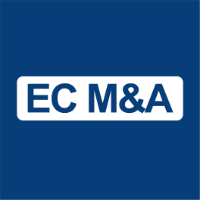 EC Mergers & Acquisitions acted as exclusive financial advisor to Schaffner on this transaction.